Use this property to return/set a value that determines the language locale ID for the chart control. The language ID determines the set of translations to use when displaying the user interfaces for the Annotations feature. All translations are contained in file XYNLangTableUE.xml, which may be editted by the user. In addition, new languages may be added by the user. 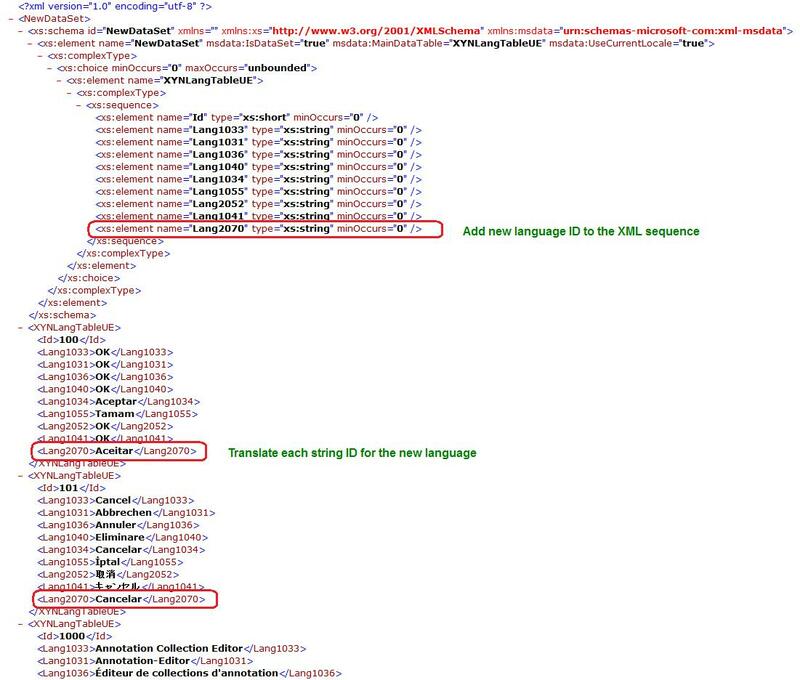 This example shows how to add a new language (Portuguese, ID=2070) to the translations file, XYNLangTableUE.xml, and how to set the Language property to use this new language ID.